The key to developing a partnership with your local child welfare agency is to deliver a compelling value proposition on how your organization can help the agency do its job more effectively. And what exactly is that job? This is a difficult job. Child welfare workers often have huge caseloads. It's a challenge for them to effectively engage dads. And that's where father-serving organizations can play a role. Last week, I wrote a post about how child welfare agencies can more effectively serve dads involved in child welfare. In it, I referred to an excellent report on recommendations to help such agencies do so, and I encouraged anyone who serves fathers and their families to read it. I also included National Fatherhood Initiative® resources that can help child welfare agencies implement the recommendations. Hidden deeply in one of the recommendations was a call for child welfare agencies to partner with father-serving organizations. It would be easy for anyone reading the report to miss this call entirely, or give it only a passing thought. That would be unfortunate. Why? Because, as I said, it's a challenge for child welfare workers to effectively engage dads. They can use all the help they can get, especially from organizations that have dedicated significant resources to improving fathers' involvement in the lives of their children. Fortunately, there is an excellent three-part podcast series recently completed by the Child Welfare Information Gateway, a federally-funded clearinghouse of the Children's Bureau in the U.S. Department of Health and Human Services. The series (total run time of just under 1 hour and 36 minutes) contains interviews with four father-serving organizations that have worked diligently to form partnerships with their local child welfare agencies for mutual benefit. Part 1: What father-serving organizations can offer to child welfare agencies to help them do their jobs more effectively; how child welfare agencies can create a more father-friendly approach to child welfare from the policy level down to the service level; and how father-serving organizations can help locate and engage fathers. Part 2: How to build successful partnerships between child welfare agencies and father-serving organizations; what's working in the partnerships these father-serving organizations have created with child welfare agencies; what father-serving organizations need from child welfare agencies, and vice versa, to generate mutual support; and what fathers want to communicate to child welfare agencies. Part 3: A case study of one father-serving organization's efforts to partner with its local child welfare agency. Representatives from both sides discuss how the partners came together; the benefits and outcomes from the partnership; and the keys to success from the perspectives of both partners, and from the fathers involved. Pick out what has been successful and that your organization can deliver on. Think of other ways your organization can add value to a partnership by helping the agency do its job better. Write out the proposition, memorize it, and deliver it to decision makers at the agency. 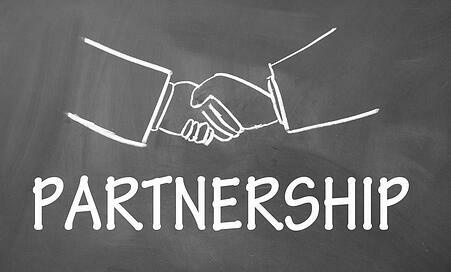 Do you have a partnership with your local child welfare agency? In what ways can your organization bring value and help a child welfare agency do its job more effectively? 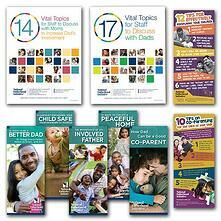 Need fatherhood resources to improve child welfare? NFI's Child Welfare Bundle is an easy and affordable way to acquire resources that will help the fathers you serve.